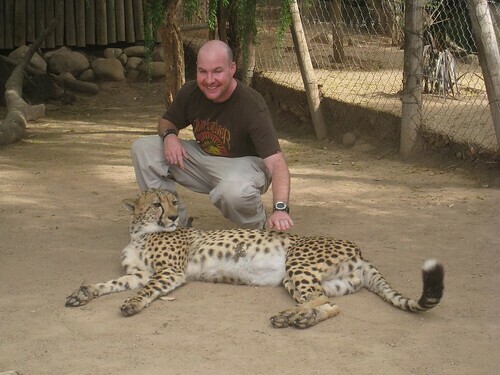 Africa, more so than any other continent I've visited, offers endless opportunities to commune with nature. In the span of a few days on South Africa's Western Cape, I spent time whale watching from land, came face to face with a Great White Shark, rode an ostrich, and petted cheetahs. Very cool! I love incorporating wildlife adventures into my trips. What’s your opinion about tattoos? Tongue piercing… and eyebrow piercings? I find that when a person puts too much tattoos, too much piercings, it really irks me… because to me, you don’t need to hide your body with tattoos. Also, is it healthy to have so many of them?